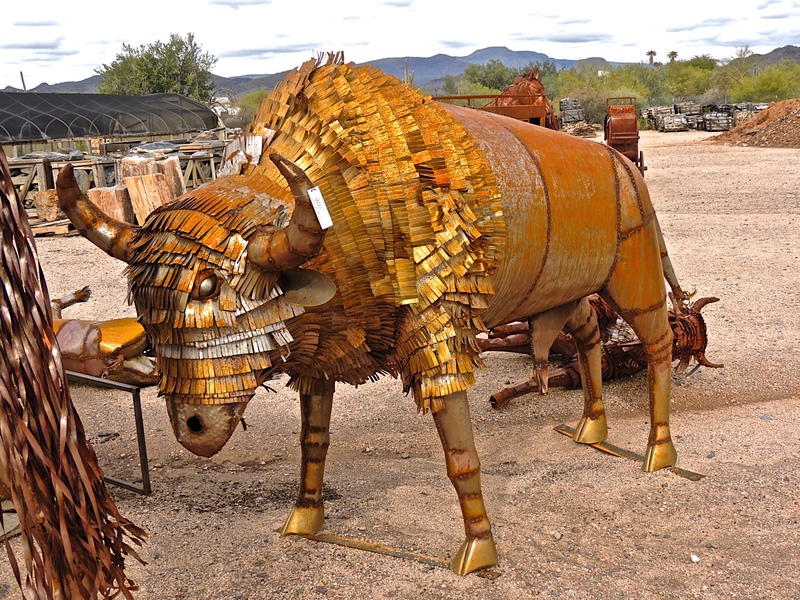 Since I had the rusty stagecoach yesterday, I thought I'd show a few more things that can be found at that place in Cave Creek. 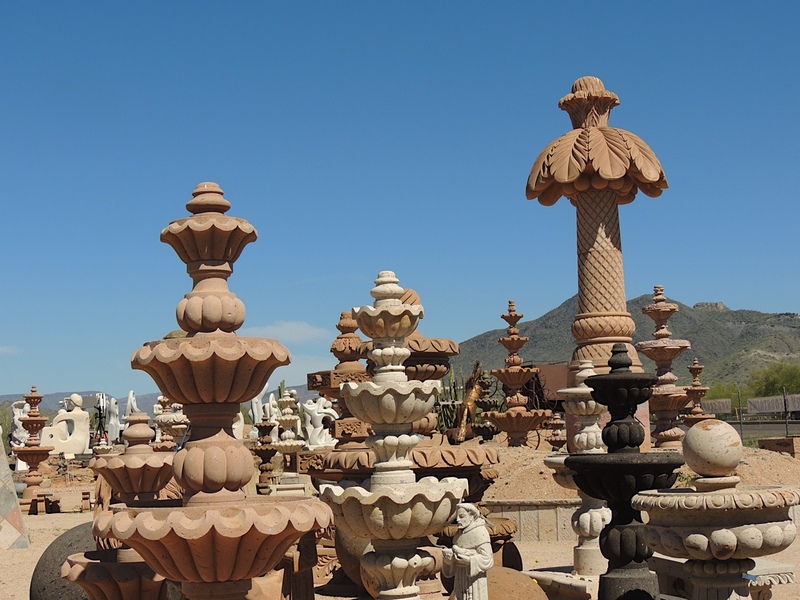 It's called Desert Foothills Gardens Nursery and they have a little bit of everything to decorate and landscape a big yard. You might want some of these very tall stone pillars. Or maybe a fountain would be appealing. 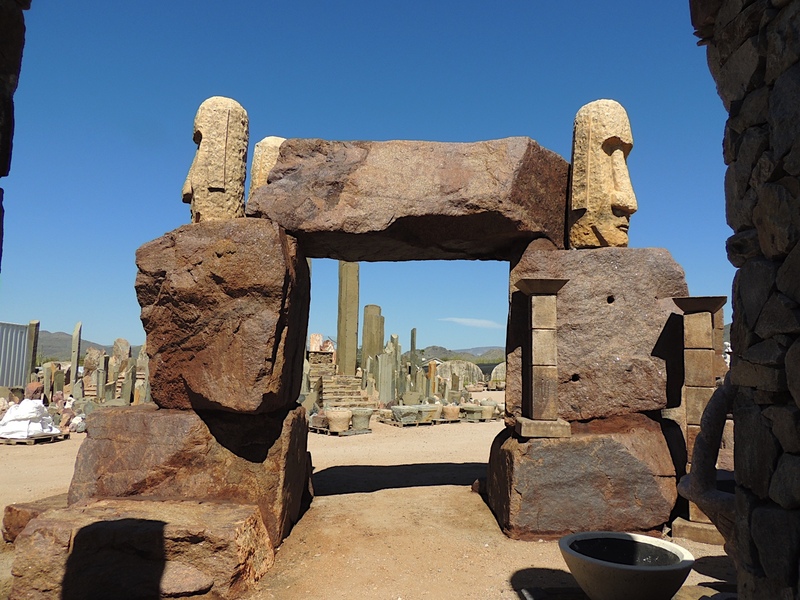 You can make a stone arch or add an Easter Island style Moai to your yard. A rusty bull might add a western touch. 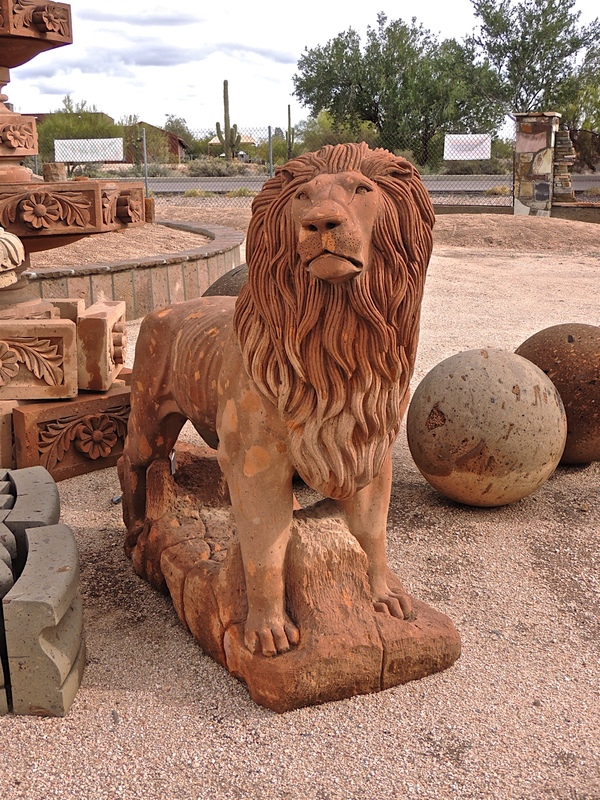 Or a smug looking lion might add just the right touch of elegance. They have pretty much anything you can think of to decorate your yard and many things you never would have thought of. Tomorrow I'll show you some of the decorator items you can find inside their little store. Wow... that is quite the sight to see. Very eclectic collection of art work! Some of these are evocative of other visual memories. The first suggests the Manhattan skyline, the second the surroundings of a large temple in Kathmandu. LOL at the stone arch and the moai! Really?! So eclectic! 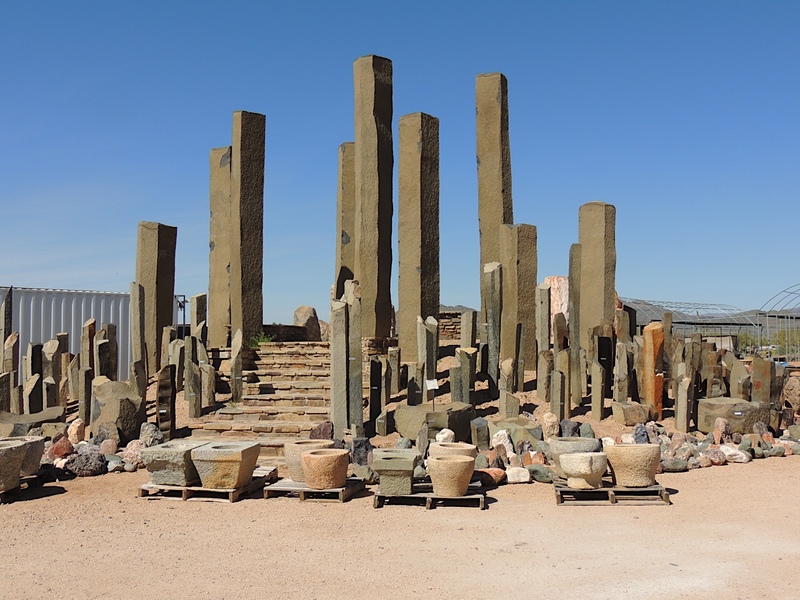 I would choose a couple of pots. Certainly different from the stuff found in New England or SW Florida (though some of those fountains would be at home in Florida). There's a little bit for every taste. Quite a collection.